Borussia Dortmund midfielder Mario Gotze has emerged as a surprise target for Liverpool ahead of the summer transfer window. Liverpool are looking set to land Mario Gotze after German Media revealed that they are in negotiations with BVB ahead of a potential move this summer. Mario Gotze has joined Borussia Dortmund from Bayern Munich for a fee in the region of 22 million euros in July 2016. The 24 year-old has a valid contract with Borussia Dortmund until June 2020. Since his arrival from Bayern Munich, Mario Gotze has scored two goals and provided two assists in 16 games for Borussia Dortmund in all competition this season. Gotze has also represented Germany at Under-15, Under-16, Under-17 and Under-21 level, winning 25 caps across all age groups and scoring eight goals. Since November 2010, he is a member of Germany national football team, winning 62 caps and scoring 17 goals. Mario Gotze recent falling down the pecking order to the younger Borussia Dortmund players indicates his end at the club and Jurgen Klopp feels he can still use him to his best of abilities. The Germany international has been a long term target of his former BVB manager Jurgen Klopp as he looks to bolster his midfield options for the next season. 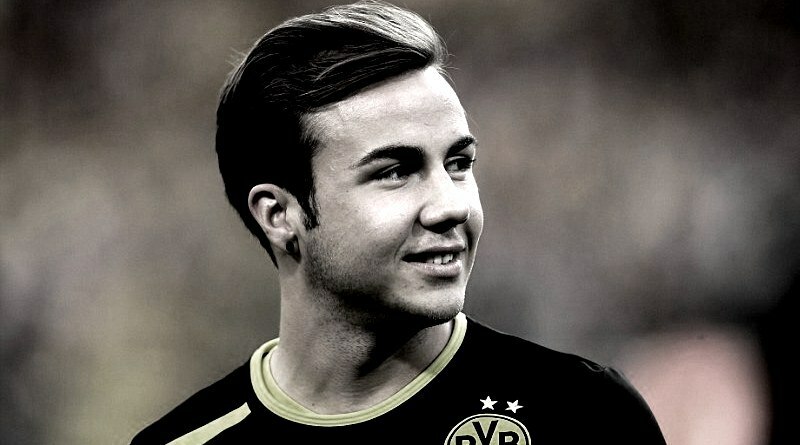 Euro Football Rumours were informed that Borussia Dortmund valuate Mario Gotze around 24 million euros.